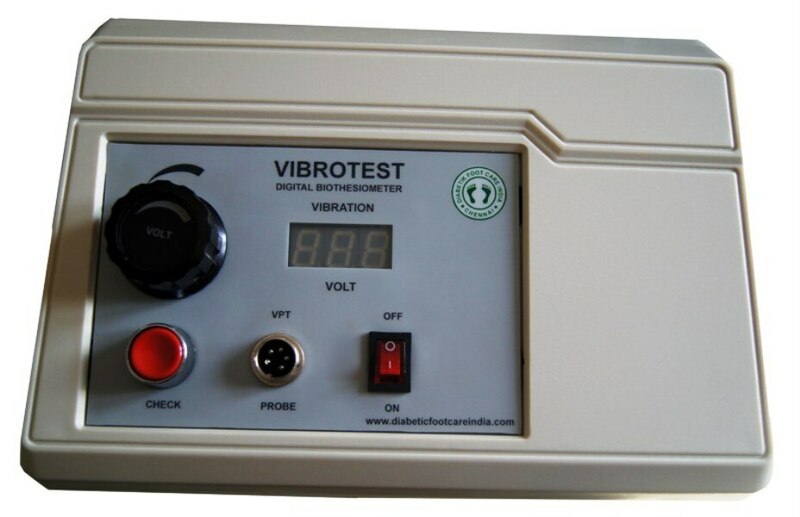 Biothesiometer Vibrotest is the essential tool for large-fiber sensory nerve evaluation quantifies Vibratory Perception Thresholds for evaluation of the Peripheral Neuropathy. It is essentially an "electronic tuning fork" whose vibration strength may be gradually increased until the threshold of vibratory sensation is felt by the subject. The Vibrotest is not only far superior to a tuning fork in accuracy, but will detect neurological changes that are not disclosed with a tuning fork. It is also quantitative. Biothesiometry method is also used to quantify Erectile Dysfunction. This unit works for a larger AC supply voltage variation, without a change in the output vibration voltage.